Stampin' Up! has introduced a new Project Kit! 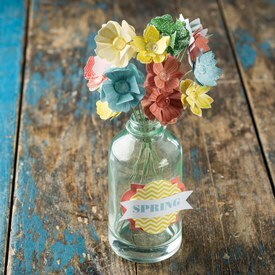 In the kit you will get everything cut and prepared to put together this adorable bouquet of flowers. 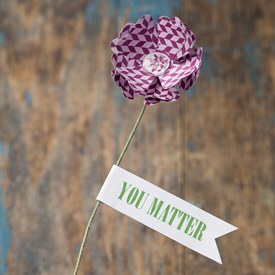 How cute will these flowers look on display in your home, on your desk at work or to give as a gift to someone special. Best part is, they last forever! In the kit there are enough to make 13 flowers. The 13th can be given away to someone who has done something nice for you or give to brighten someone's day. What a sweet thought! Item only available while supplies last. Order you kit today while supplies last! I've ordered mine and can't wait for it to come. I think mine will be on display when my family comes for our Mother's Day celebration.